From a communique of European Council on Tourism and Trade President Office we have being informed that on 2 and 3 May 2014 the General Assembly of European Council on Tourism and Trade will meet in Bucharest. The issue tabled for the organization will be: the selection of the best city for tourism-World Capital of Culture and Tourism, analyzing the future of European tourism, electing new countries in the ECTT and electing new members in the European Tourism Academy etc. 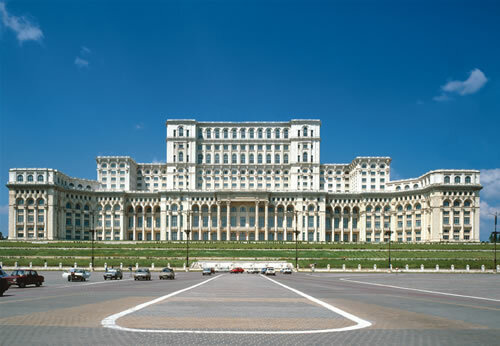 European Council on Tourism and Trade 2013 General Assembly was also hosted in Bucharest Palace of Parliament. Palace of Parliament will host 2014 European Council on Tourism and Trade general assembly vote for WORLD BEST TOURIST DESTINATION IN 2014. President-Professor Dr. Anton Caragea, President of European Council on Tourism and Trade received on behalf of a European Union delegation of parliamentarians the EUROPEAN AWARD FOR DIPLOMATIC ACHIEVEMENTS FOR 2014. Professor Dr. Anton Caragea accepted the EUROPEAN AWARD FOR DIPLOMATIC ACHIEVEMENTS FOR 2014 with gratitude and declared that the prize is a sign of confidence on behalf on intellectual and true European believers, People that believes that Europe must not preach, must not threat, must not impose sanctions and consider himself as a power against the people. The Europe of today and of tomorrow must support real and direct democracy, must rebuke the imperialist cover agenda, the exploitation of people and must lead by example and by respecting the main principle’s of international law: respect for suzerainty and territorial integrity, refuses the involvement in internal affairs of independent nations, to relinquish the threat of war or the war as instruments of foreign policy, promoting the mutual respect between nations no metter the size or population number, economic or military power all countries have the same rights and obligations. Making the base of diplomacy the mutual respect, bilateral interest, equality among nations and totally refuse the use of human right as a tool for promoting imperialist agenda and horrible crimes against humanity.